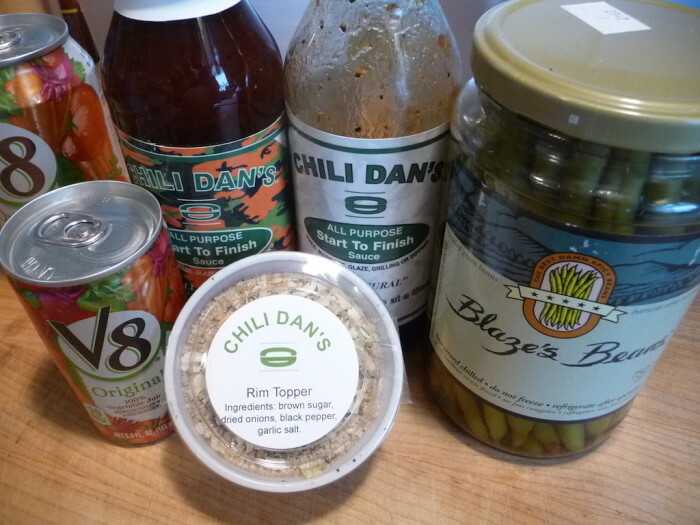 Our last post reviewed the new CHA! 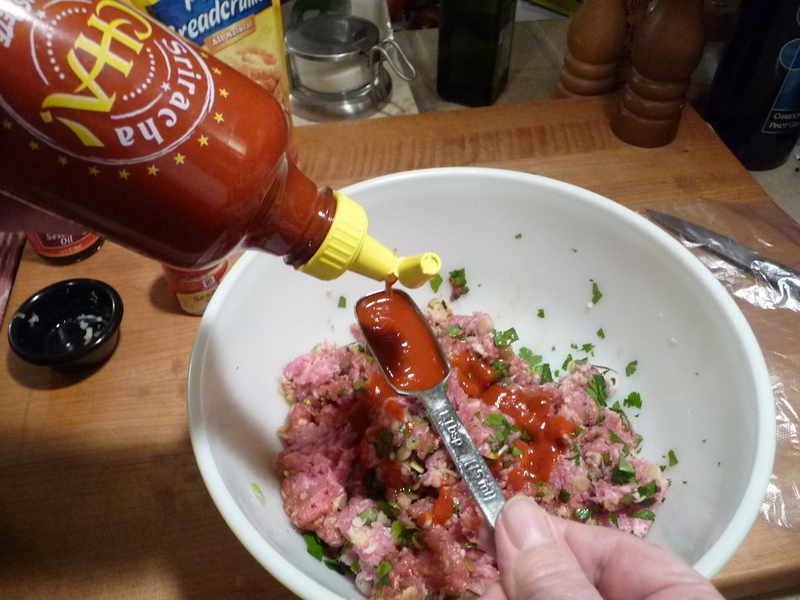 Sriracha sauce from Texas Pete. Here is their spicy bacon wrapped meatloaf recipe, featuring CHA!, that just blew us away. 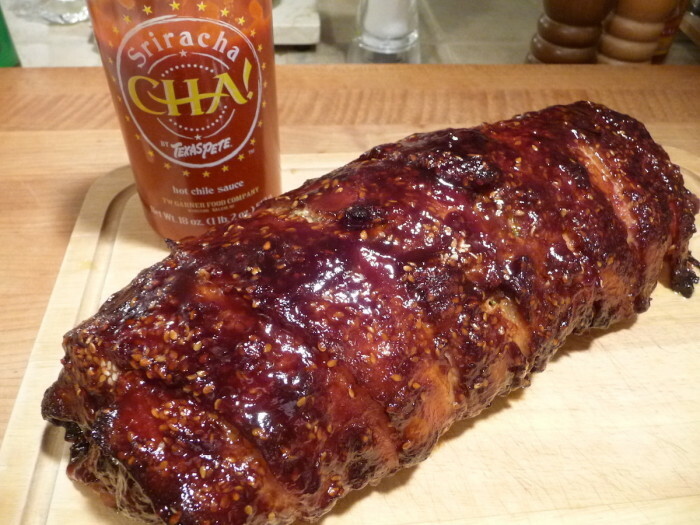 We’ve seen dozens of bacon wrapped meatloaf recipes on the Internet and have tried a few, but none with sriracha. 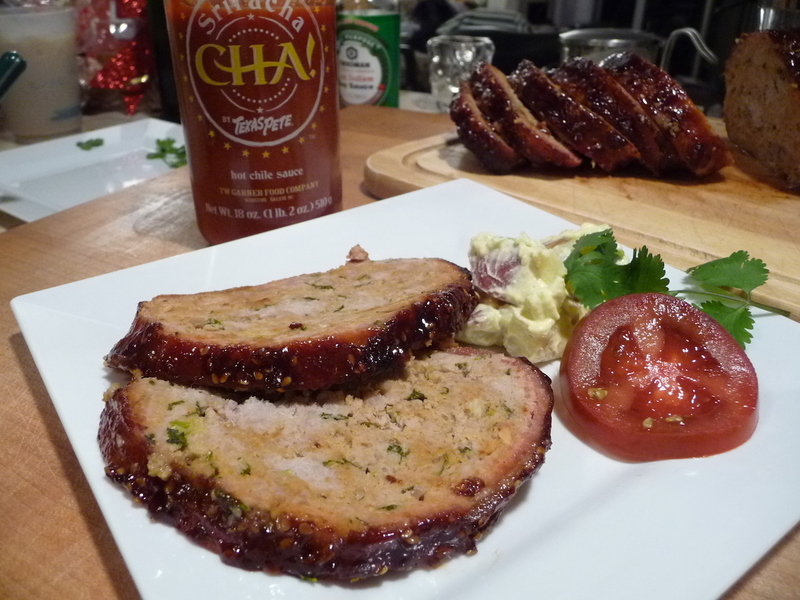 Most all use a “bacon weave” to smother the meatloaf… this one is different. Using strips of thick bacon, pounded into submission, this was by far the most successful bacon enrobed meatloaf we’ve ever cooked. 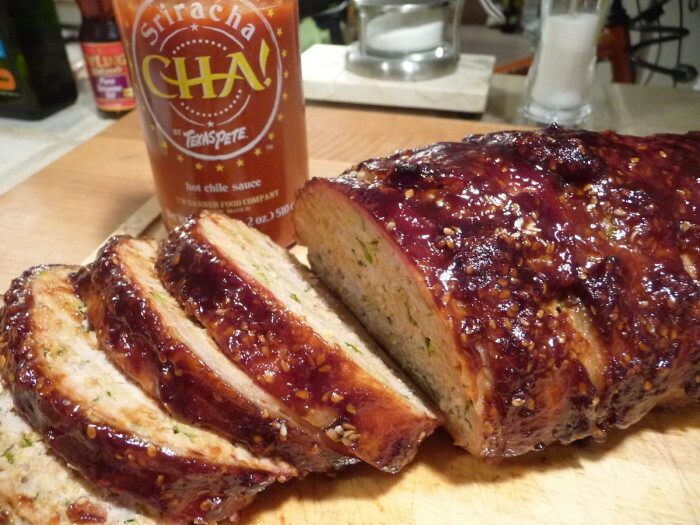 Read on for the unique way bacon is wrapped around this meatloaf, and the incredible list of ingredients that make this the best meatloaf we’ve ever cooked. 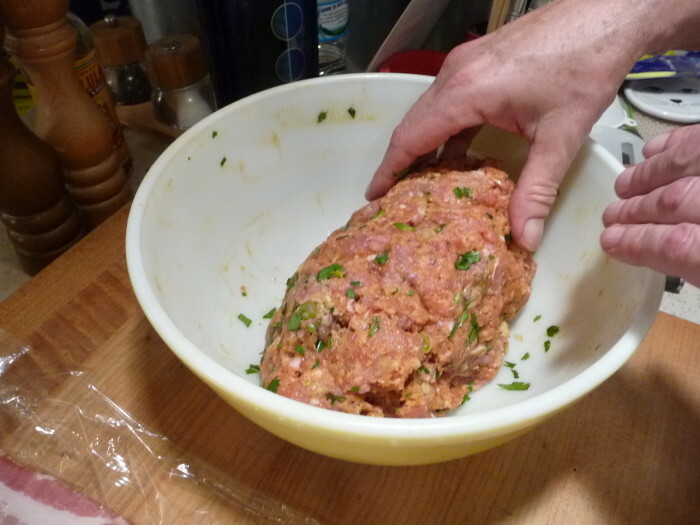 It’s also the first time we’ve made a meatloaf using only ground pork instead of the usual ground beef. The complete recipe is available as a printable PDF file at the end of the post. Prep time: 45 minutes. 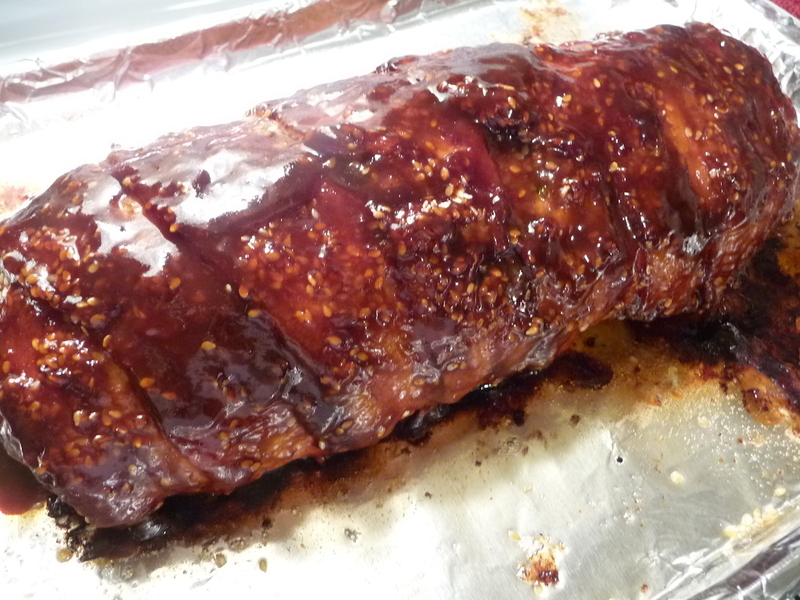 Cooking time: 1:00 – 1:15 hrs. 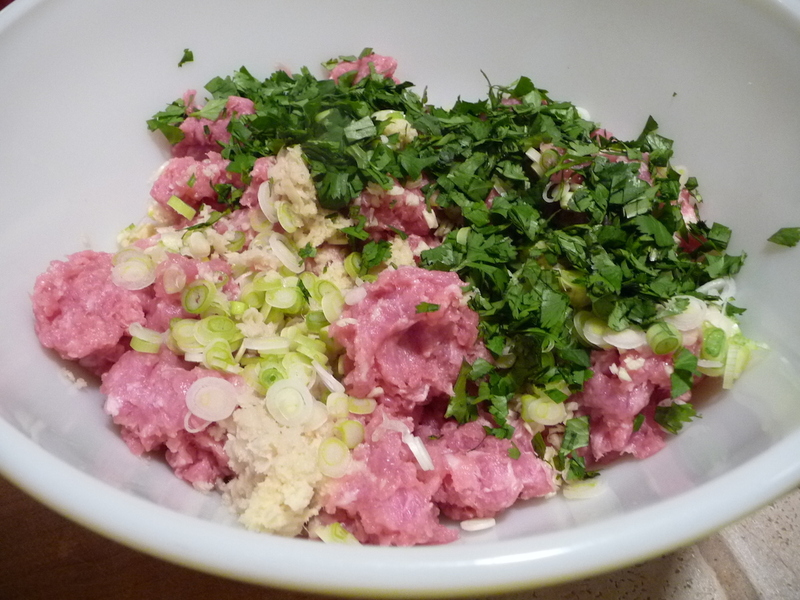 Place the ground pork into a large mixing bowl. Add the grated ginger, garlic, scallions, cilantro, soy sauce, sesame oil and the 4 tbs Cha! 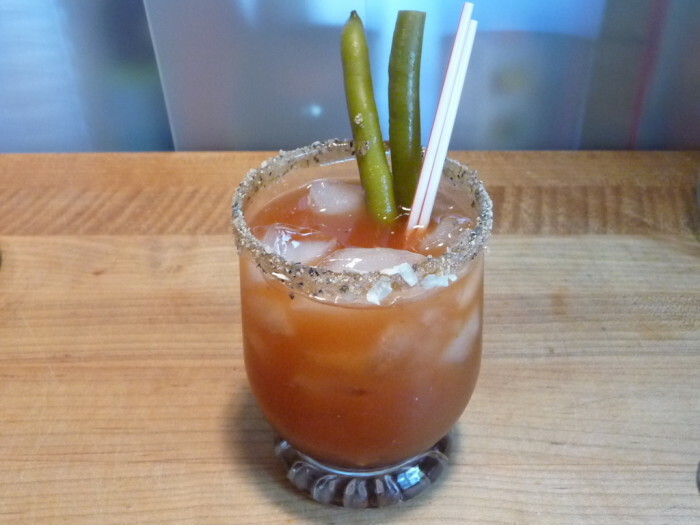 By Texas Pete and mix well until fully combined. Next, add one egg at a time followed by the Panko breadcrumbs. 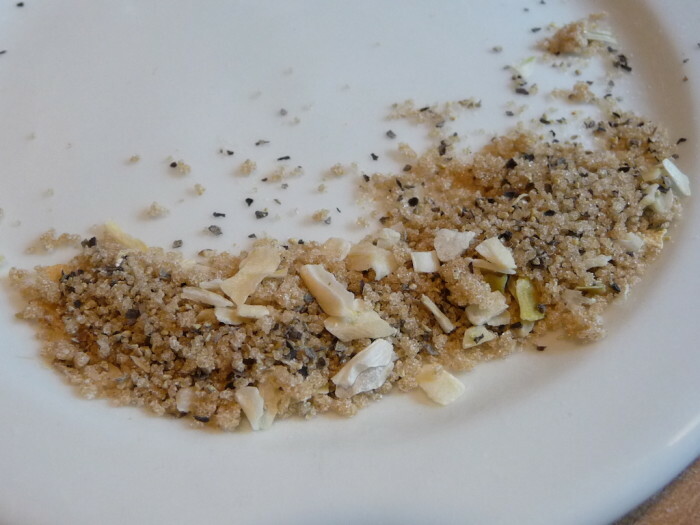 Mix until everything is evenly incorporated. Do not over mix. Line a sheet tray with aluminum foil and lightly coat with either olive oil or non-stick spray. Place a large piece of plastic wrap on a clean work surface. 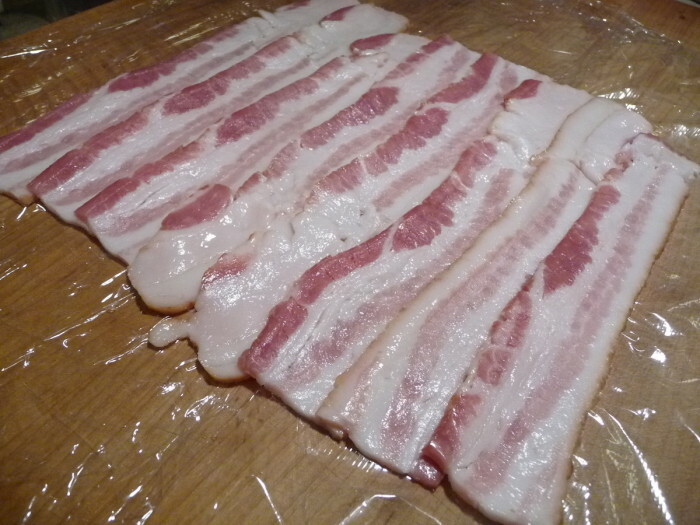 Arrange the bacon strips on the plastic wrap one at a time overlapping them lengthwise just enough so that there is no space in between each strip of bacon. Place another piece of plastic wrap large enough to fit over the whole sheet of bacon and press down firmly. 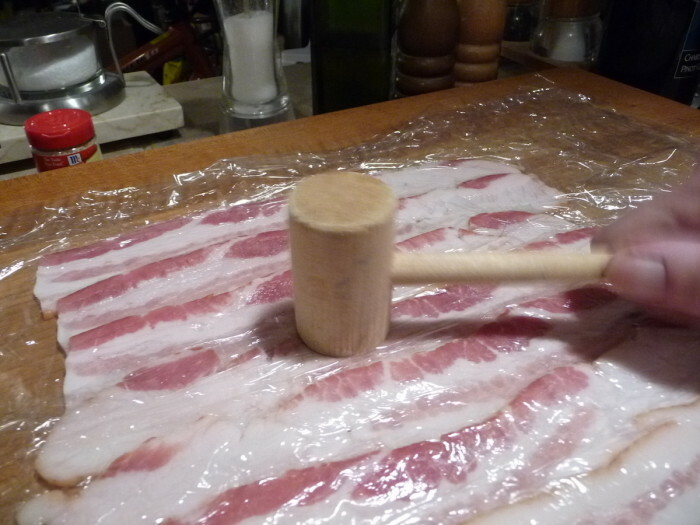 Using a mallet carefully pound the bacon strips to tenderize and to stick together. The sheet of bacon will widen a few inches on each side and should be approximately 10 inches long by 8 inches wide. Remove the top layer of plastic wrap and discard. Keep the bacon on the bottom sheet of plastic wrap. Turn the plastic wrap with the bacon so the strips are facing you vertically. 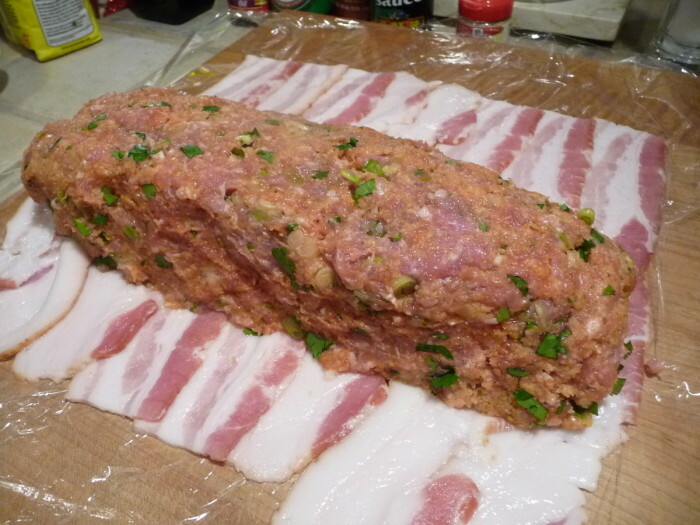 Form the meatloaf into the shape of a log horizontally onto the center of the sheet against the strips of bacon. 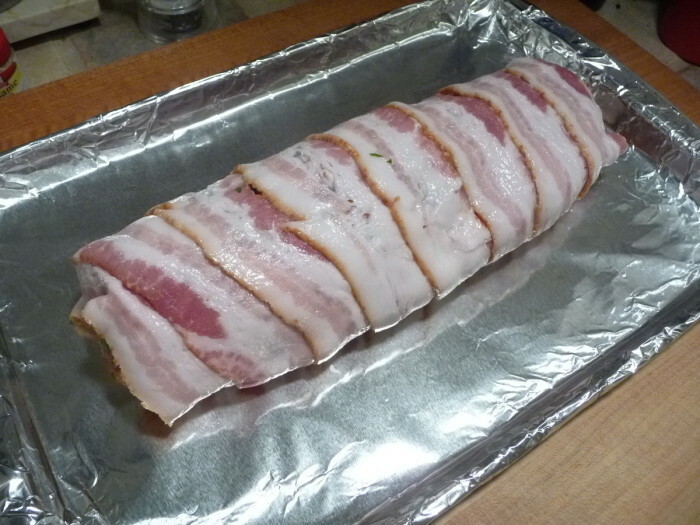 Carefully roll the bacon with the meatloaf tightly keeping it in the shape of a log. Place the meatloaf onto the sheet tray. 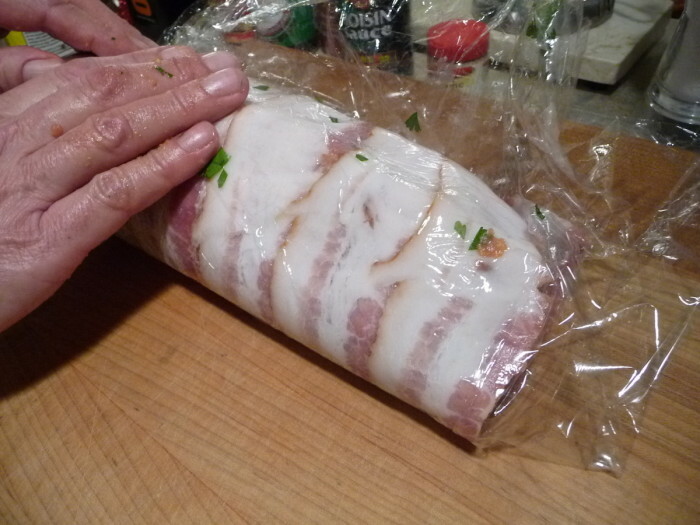 Carefully remove the plastic wrap from the bacon. 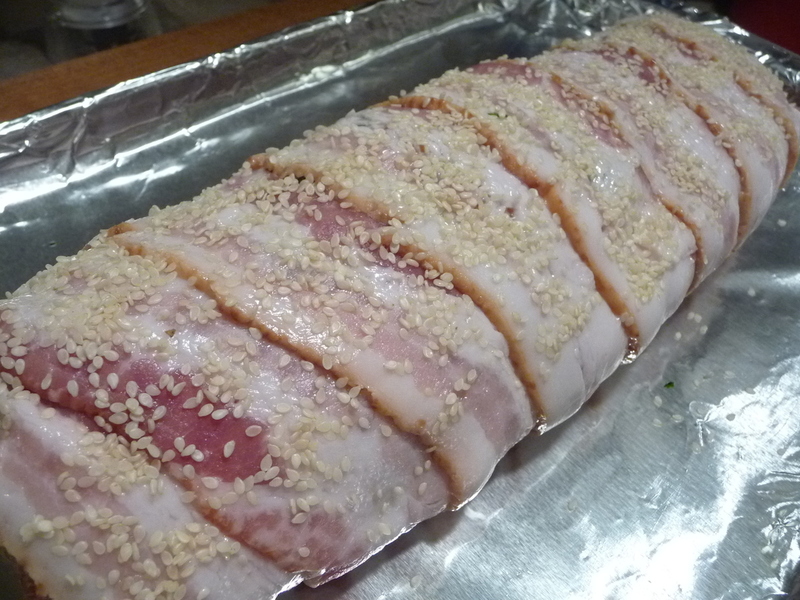 Sprinkle the top of the bacon wrapped meatloaf with all of the sesame seeds. Place the meatloaf into the oven to bake for approximately 1 1/4 hour or until an internal temperature of 165 degrees has been reached. While the meatloaf is cooking prepare the glaze. Combine the Hoisin sauce with the Cha! 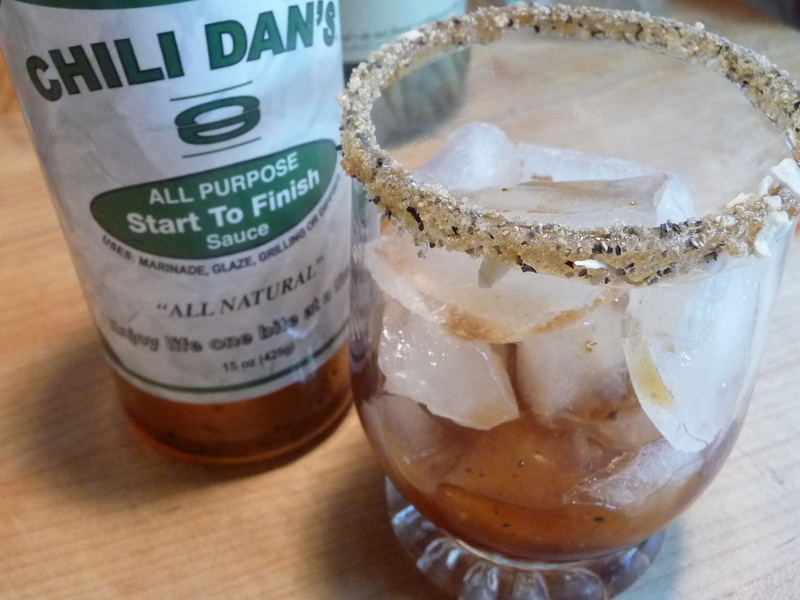 By Texas Pete and mix well. 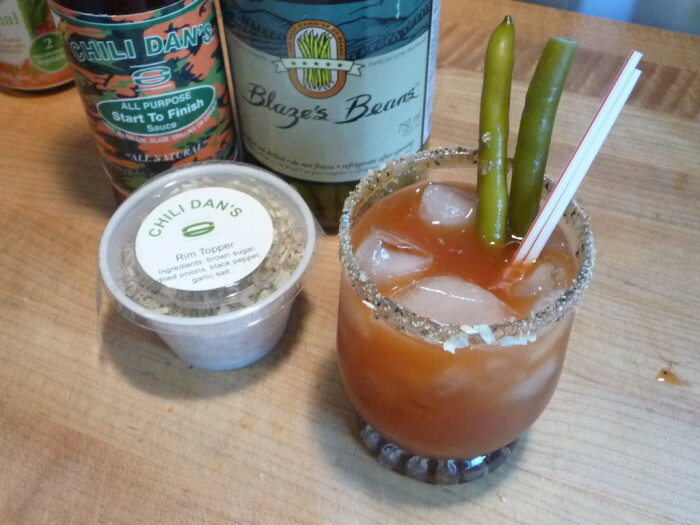 Glaze the meatloaf with this mixture 2-3 times during the second half hour of cooking. 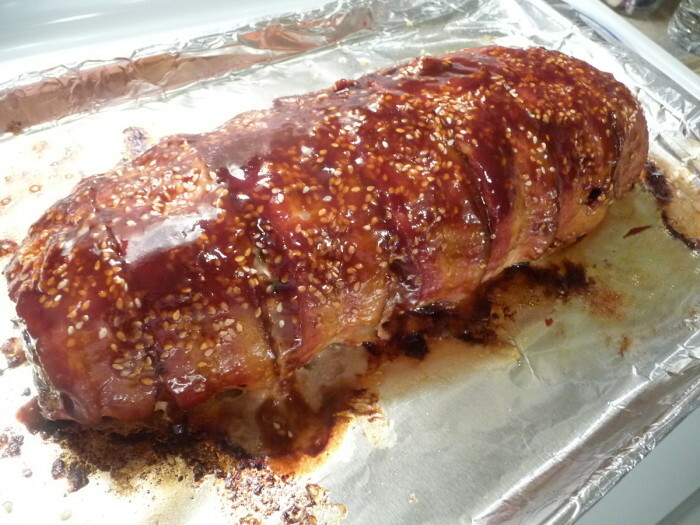 When the meatloaf is fully cooked remove from the oven and let it rest for approximately 15 minutes before slicing. 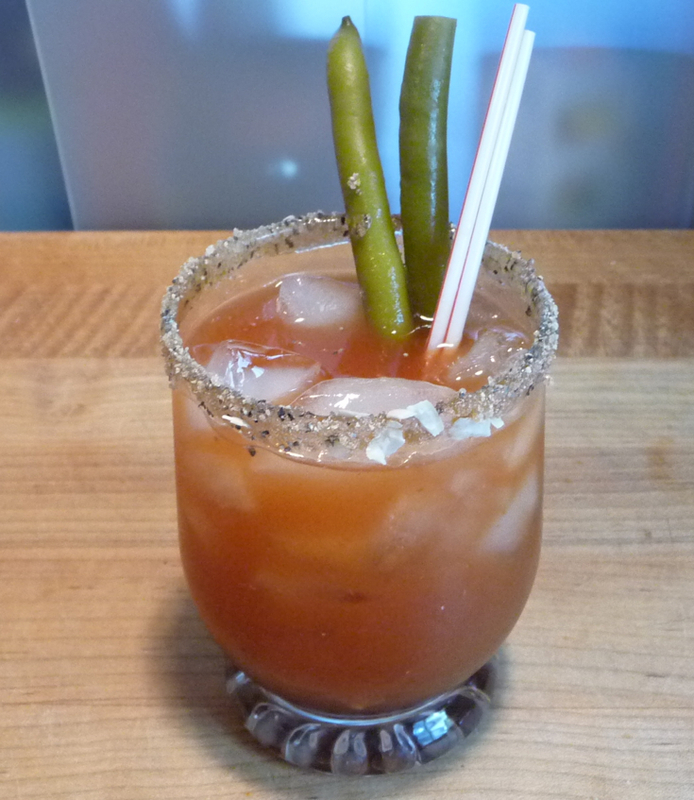 Slice thinly and serve with your favorite side dish. Would you like to try this recipe? Leave us a Comment below… we’d love to hear your feedback.